The ES is climbing higher as the bears get squeezed out. 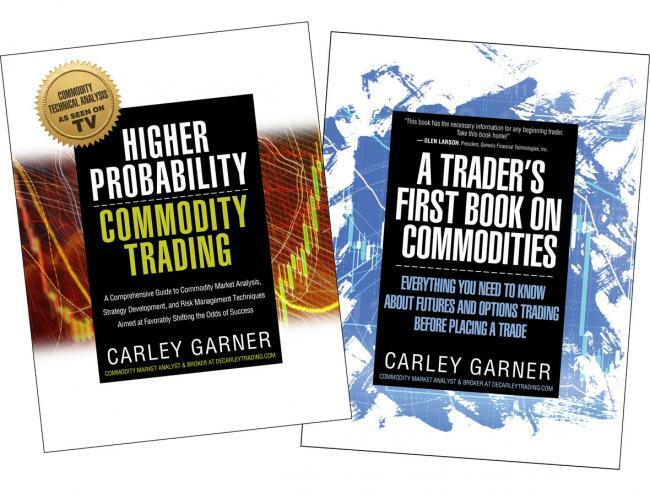 Order Our Trading Books Today! "Many of the books I read regarding trading strategy make fantastic promises or deal in highbrow theory. Its refreshing to read a book that stresses practicality and fundamental product knowledge." Few believe in the stock rally, which is why it continues to run. Ironically, it is probably the bears themselves who are forcing stock prices higher. In the futures markets, speculators are holding one of the largest net short positions we have seen in a 12-month rolling calendar. To be fair, the position is somewhat moderate at far less than 100,000 contracts but it is worth noting that most traders are playing the downside. This is important for a few reasons; first, most of the speculative selling has likely already taken place (leaving the path of least resistance higher). Also, a bearish market composition adds fuel to the fire as those short the market are forced to cover positions at higher prices due to a lack of money, margin, or conviction. Keep in mind, if the masses are expecting one thing the markets usually do the opposite. 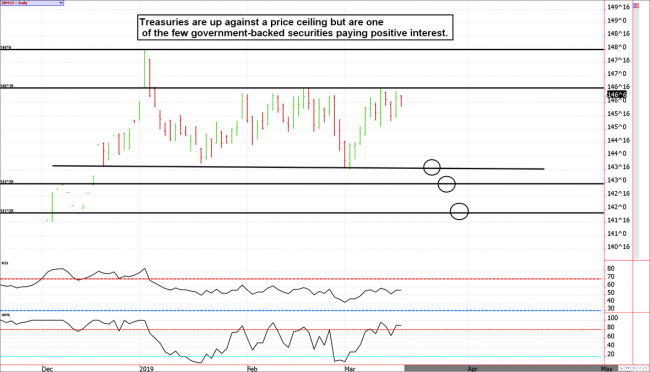 We literally have NOTHING to say about Treasuries. It doesn't happen often, but we don't have an opinion either way in bonds and notes..and haven't for weeks. The market is trading in a tight sideways pattern until it breaks out we don't see much of an edge. We are neutral and hoping for a clue. The ES is on the verge of a breakout, and it feels like it will do just that. We are generally most comfortable being contrarians; this often means being bearish when prices are relatively lofty and bullish on large dips. After all, the market tends to jump on the bandwagon after most of the move has taken place. 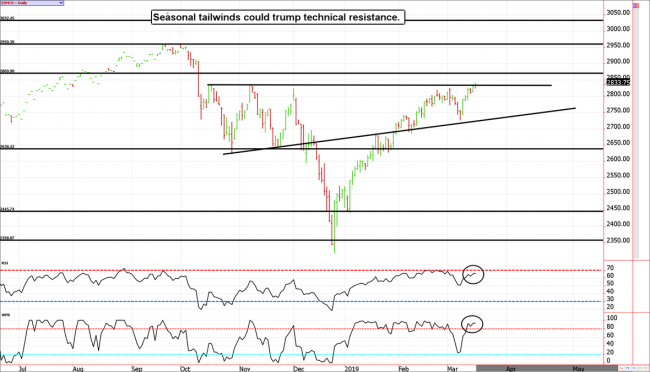 However, despite conventional wisdom pointing toward an overheated equity market market (saturated technical oscillators and overhead resistance), we find ourselves in a situation in which being a contrarian means being bullish in a relatively high-priced market. This is an odd scenario; in more normal markets conditions traders are mostly positioned on the bearish side of the market as prices are nearing a low (not a high). Conversely, market peaks are often associated with an overly bullish speculative crowd. Either the current environment is an accident waiting to happen, or the bull run has a significant amount of room to run. We are siding with the latter at this time. We are looking for the June E-mini S&P 500 to run toward 2870 this week and, in the coming weeks, we believe 2960 will be seen. On the flip side, the market is pressing up against resistance, so there is a legitimate argument for playing the downside. That said, any speculative bearish places should be very well-hedged; it is rare for the majority to be accurate in direction. Last week's correction was likely a reload before moving higher. We think 2870ish could be seen within the week. June 21 - Go long the Bloomberg Commodity Index futures contract near 87.00. September 12 - Roll the September Bloomberg Commodity Index into the December contract. December 13 - Roll the December Bloomberg Commodity Index into March. December 27 - Sell July corn 390 put and purchase the July 350 put for insurance. December 28 - Go long July soybean meal, sell a July 320 call and buy a March 290 put for insurance. January 2 - Buy the July coffee 115/125 call spread, and sell the July 95 put. Then buy the March 90 put for insurance. January 23 - Go long the June euro currency future near $1.1520, then sell the May $1.15 call option and purchase a March $1.11 put for protection. February 7 - Sell the May natural gas 2.55/2.30 put spread near $550. February 9 - Buy back the July 95 coffee put to lock in gain, then sell the July 102.50 put and purchase the April 100 put for insurance. February 19 - Buy back July coffee 125 call and sell the April 100 put to lock in gains. Purchase an April 95 put to replace the insurance. February 20 - Sell diagonal put spreads in wheat using the May 475 put and the April 460 put (about 11 cents). February 21 - Exit half of the Bloomberg Commodity Index futures position (we added on a dip in January). February 25 - Buy back the May natural gas 2.55/2.30 put spread to lock in a profit. March 1 - Sell April wheat $4.60 put to lock in gain and replace it with an April $4.35 put. March 7 - Roll short May euro $1.15 call into June euro $1.15 call to collect more premium and better our hedge. Purchase an April $1.1150 put for insurance. March 8 - Sell another June euro $1.15 call to bring in another 65 ticks in premium and provide a better downside hedge. March 8 - Purchase May coffee 90 put replace expiring April put. March 15 - Roll March BCI into June. If you are enjoying this trial,click here to open a trading accountto work with DeCarley Trading and/or use the state of the art futures and optionsplatforms availableto our brokerage clients. ** These recommendations are a solicitation for entering into derivatives transactions. All known news and events have already been factored into the price of the underlying derivatives discussed. From time to time persons affiliated with Zaner, or its associated companies, may have positions in recommended and other derivatives. Past performance is not indicative of future results. The information and data in this report were obtained from sources considered reliable. Their accuracy or completeness is not guaranteed. Any decision to purchase or sell as a result of the opinions expressed in this report will be the full responsibility of the person authorizing such transaction. Seasonal tendencies are a composite of some of the more consistent commodity futures seasonals that have occurred over the past 15 or more years. There are usually underlying, fundamental circumstances that occur annually that tend to cause the futures markets to react in similar directional manner during a certain calendar year. While seasonal trends may potentially impact supply and demand in certain commodities, seasonal aspects of supply and demand have been factored into futures & options market pricing. Even if a seasonal tendency occurs in the future, it may not result in a profitable transaction as fees and the timing of the entry and liquidation may impact on the results. No representation is being made that any account has in the past, or will in the future, achieve profits using these recommendations. No representation is being made that price patterns will recur in the future.